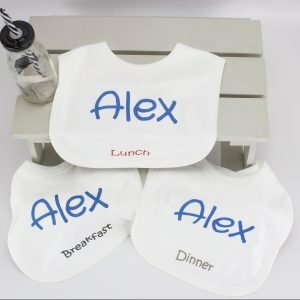 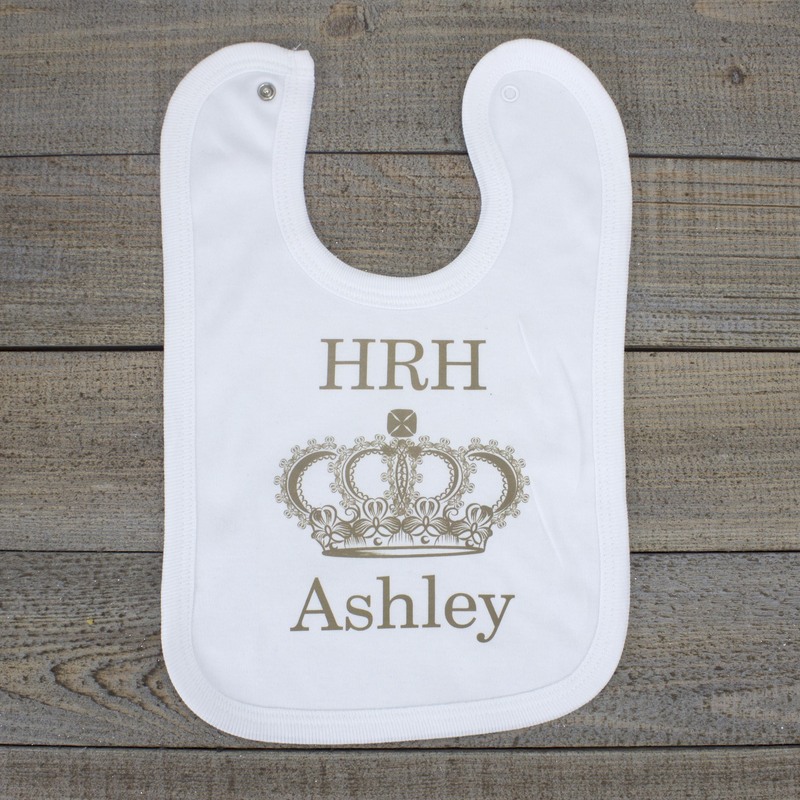 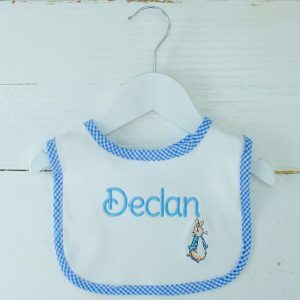 Make sure baby is looking their best every meal time with our simple yet stylish personalised white bib, a cute yet practical gift for every newborn! 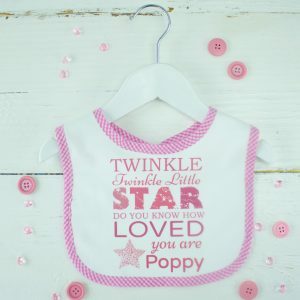 Text available in a range of colours! 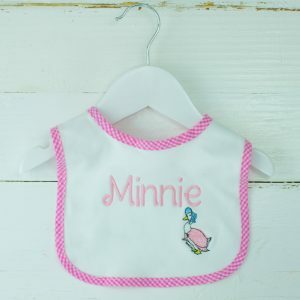 These baby bib and burp cloth gift sets are so dreamy and cute. 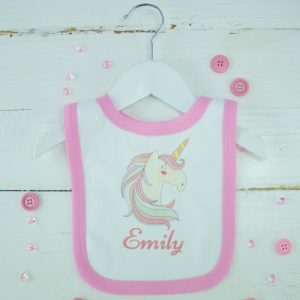 They will also make great unique baby gifts.